ARISS, or Amateur Radio on the International Space Station (ISS), was formed to design, build and operate Amateur Radio equipment in space for educational purposes. In 1996, delegates from major national Amateur Radio organizations, such as ARRL, and from national Amateur Radio satellite organizations, such as AMSAT, in the eight nations involved with the international space station, signed a Memorandum of Understanding to form ARISS. United States and Russian teams have trained astronauts and cosmonauts to operate the equipment. The Italian team has designed and built antennas. The German team has built sophisticated repeater stations that will allow crews to make recorded reports on their daily activities and permit hams on Earth better contacts with men and women aboard the station. Amateur Radio was a regular payload on Shuttle missions since beginning with STS-9 in November 1983, when Owen Garriott, W5LFL, carried a hand-held ham radio aboard Space Shuttle Columbia. 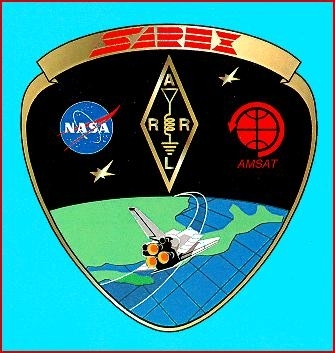 SAREX provided students with the unique opportunity to talk directly with astronauts in the Shuttle while they orbited the Earth traveling 17,000 miles per hour. With the help of Amateur Radio operators, students could attempt to contact the astronauts flying on a SAREX mission through voice, packet (computer) radio, or television, depending on which equipment configuration the Shuttle takes into space. Through voice contact (communication) students asked questions about the experiments being conducted on the mission and what it is (was) like living in space. When the astronauts were asleep, a robot computer Amateur Radio station aboard the Shuttle made contact with hundreds of hams around the world. Students could track the Shuttle's orbit using computer software, "eavesdrop" on Shuttle communications, and listen to NASA mission commentary and bulletins about astronaut-planned transmissions.